If the idea of saving money while in graduate school sounds laughable to you, you’re not alone. Many grad students live month to month on a stipend that places them near the poverty line. After rent, food, and clothing, there’s nothing left to save. But food, clothing and shelter don’t cover all the expenses you’ll face as a grad student. There’s also car maintenance and repair, gifts for loved ones, and the occasional concert or trip to the beach. How do you squeeze these add-ons from an already meager budget? This week, we talk with our friend Dr. Emily Roberts about some creative ways grad students and postdocs can make a regular investment for irregular expenses. Emily shares her experience when as a student, she and her husband spent well over their budget on unpredictable expenses like car repairs and basketball tickets. Vowing never to make that mistake again, Emily looked for ways to force these every-few-months expenses into her monthly budget. Her solution: targeted savings accounts. Simply put, these are bank accounts with a name and a purpose. 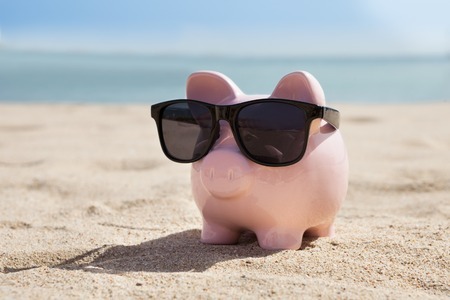 Instead of saving a wad of cash under the mattress for ‘a rainy day,’ targeted savings accounts serve a single purpose. Emily created one that saved money just for car repairs. She stared a separate account to purchase show tickets the following year. Each month, a small amount of money would auto-draft from her checking account, and deposit in each targeted account. Over time, these grew, and when it came time to fix the car or buy theater tickets, the money was already there. She didn’t have to sacrifice her grocery budget this week to make ends meet. You can hear more tips and ideas for setting up accounts of your own in this week’s episode. Or head over to GradStudentFinances.org for additional articles and a worksheet to help you identify your irregular expenses. Hello PhD listeners can also sign up to view her webinar on income tax tips for graduate students. Yes, it IS that time of year! This week, we’re scratching our heads over the recent report from the CBC that the chicken on Subway sandwiches contain only 50% Gallus gallus. Because DNA! Of course, Subway disagrees, and ordered their own antibody-based testing to show that there’s plenty of Gallus to go around. Something that doesn’t taste like chicken: the Julius and Haze IPAs we sampled from Treehouse Brewing. These truly exceptional beers are apparently hard to come by. It’s complex enough that their website has a section devoted to finding them, and a section for ordering. I believe the brewmaster is allowed to ask you three riddles before filling your growler, and may demand a sacrifice should you answer incorrectly. Be warned!